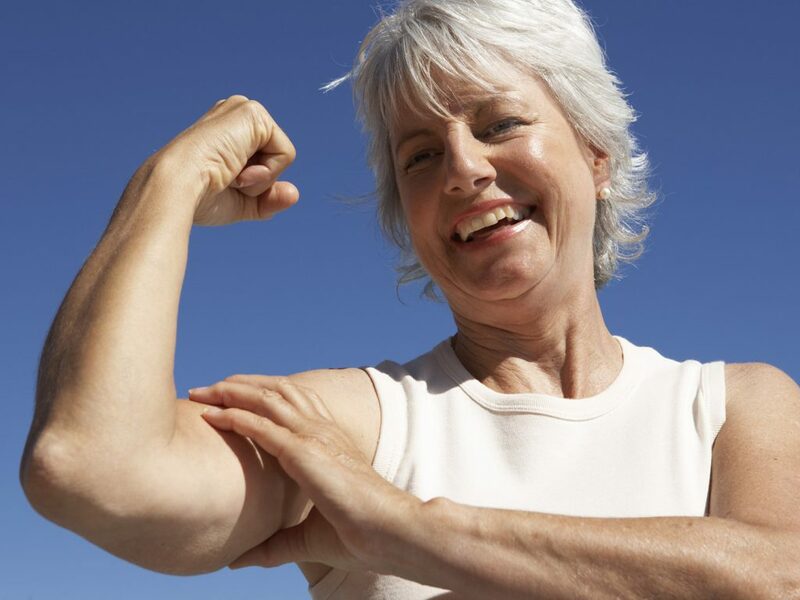 Fitness Tests for Older Adults: How Fit Are You? Gauge your fitness—and shore up your weak spots—with these six expert-approved tests. Remember those fitness tests from elementary school? They were useless. After all, how often do you find yourself needing to do a jumping jack or situp in the middle of the day? Being fit is fundamentally about being able to function. Everyday feats of strength, balance, and endurance—such as getting up off the couch, climbing stairs, and playing hide and seek with the grandkids—aren’t just great goals. They’re important markers of overall fitness. That’s why, when patients enter his exam room, the first thing Pennsylvania-based family medicine physician Rob Danoff, D.O., asks is this: “Does anything keep you from your normal activities? Have you noticed a change in your ability to do what you used to do?” If the answer is yes, Dr. Danoff knows his patient isn’t fit enough. The following fitness tests can help you identify weak spots before they hinder day-to-day life, says Jason Machowsky, R.D., C.S.C.S., an exercise physiologist at the Hospital for Special Surgery in New York City. Good news: They also help reveal your greatest areas of strength. Talk about motivation! To tune into your fitness, perform these six at-home tests. Write down your results, repeat every six to eight weeks, and chart your progress. Unable to do these tests safely at home or concerned about your results? Don’t fret—but don’t ignore the issue. Talk to your doctor so you can better understand what you can do to get stronger. Sit on a sturdy chair with your feet hip-width apart and your arms crossed in front of your chest. From here, press through your heels to stand up. Count how many times you can stand up and sit back down in 30 seconds. How’d you do? The average adult, ages 60 to 79, should be able to perform 10 to 19 reps. Improve your results: Perform leg-strengthening exercises such as squats, lunges, and glute bridges. Focus on mastering good form first, then increase your reps. The sit-to-stand test also doubles as a great lower-body strengthener, Dr. Danoff says. Sit on a sturdy chair with your feet hip-width apart. Hold a dumbbell down at your side in your dominant hand, palm facing your body. (Women should use a five-pound dumbbell, and men an eight-pound dumbbell.) Keeping your upper arm stationary, curl the weight up to your shoulder, rotating your palm to face your shoulder as you do so. Count how many times you curl up and lower the weight back down in 30 seconds. How’d you do? The average adult, ages 60 to 79, should be able to perform 11 to 22 reps. Improve your results: If your upper-body strength needs improvement, turn to compound pulling and pushing exercises such as resistance band rows and presses, Dr. Danoff says. Simple lifestyle swaps—such as carrying your groceries in a basket rather than pushing a cart—can help as well. Sit on a sturdy chair with your feet hip-width apart. Extend one leg straight out in front of you, toes pointed toward the ceiling. The opposite foot should remain flat on the floor. With one hand on top of the other—and your back straight—reach as far toward your toes as you comfortably can, making sure not to bounce to go deeper into the stretch. Hold the farthest position for two seconds. Perform the test twice on both sides, and record your best result for each leg. How’d you do? The average adult, ages 60 to 79, should be able to reach within four inches of the toes to five inches past them, no matter which leg is forward. Improve your results: To increase your mobility, perform strengthening exercises through a full range of motion. Focus on slowing the “lowering” or “easy” part of each exercise. You can also try these stretches for seniors. Stand tall, and reach one hand over your shoulder and down the middle of your back as far as possible, your palm against your back. Reach your other hand around your side and up the middle of your back as far as possible, the back of your hand against your back. Without causing pain, try to bring your hands as close as possible to each other. How’d you do? The average adult, ages 60 to 79, should be able to get both hands within nine inches of each other. Women tend to be able to get their hands closer than men can. Improve your results: To increase mobility in your shoulders, perform shoulder presses as well as front, side, and rear shoulder raises. Wall slides are another great move for opening up the shoulders. Stand with your back against a wall, your arms against the wall like goalposts. From here, keeping your arms and back against the wall, slowly slide your arms as high as possible and then back down. Sit on a sturdy chair with your feet hip-width apart and your hands resting on your knees. From here, time how long it takes you to stand up, walk for eight feet, turn around, and return to your seat. Perform the test twice, and record the best result. How’d you do? The average adult, ages 60 to 79, should be able to finish the test in 3.8 to 7.4 seconds. Improve your results: This test evaluates agility, which is a combination of speed and strength. To improve yours, make sure that your workouts contain both muscle-strengthening and aerobic components, Dr. Danoff says. Good forms of aerobic exercise include walking, swimming, cycling, and group fitness classes. March in place for two minutes, bringing your knees to mid-thigh level with each move. You can put a piece of tape on the wall next to you to mark how high you should raise your knees. Count how many times your right knee hits the mark within the two-minute period. How’d you do? The average adult, ages 60 to 79, should be able to perform 68 to 115 marches per side. Improve your results: For healthy aerobic endurance and functional capacity, research published in the International Journal of Behavioral Nutrition and Physical Activity suggests that healthy older adults should take between 7,000 and 10,000 steps per day. Get moving with these easy walking ideas. To learn more about your score, check out the Senior Fitness Test (based on this manual).